If there were a song about keeping yourself safe from financial scams, the refrain to that song would be "Check your credit report!" But practically speaking, what does that mean? How can that one piece of advice keep you safe from so much? 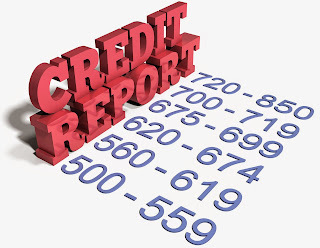 There are three different credit reporting agencies: Equifax, TransUnion, and Experian. They share data, but each makes its own report. You're entitled to one free report from each agency every year. If you know you've got a major purchase, like a car or house, coming up in the next year, you'll want to check all three bureaus before you start shopping. This way, you can catch inaccuracies before lenders see your information and score. Otherwise, it makes sense to stagger them and view one report every four months. This puts the shortest amount of time between checks. You can get your credit report for free at annualcreditreport.com. This is the only website approved by the Federal Trade Commission (FTC) for this purpose. Take care to avoid "imposter" websites operated by scammers. They may use similar-sounding website names or common misspellings in an attempt to trick you and get your personal information. There are other situations under which you can get a free copy of your credit report. If you are denied credit, you can request a copy of the information that was used to make that determination provided you do so within 60 days. If you have been the victim of certain kinds of fraud, the service will also provide you with a free copy of your credit report in order to help you make it right. These checks will never hurt your credit score. If you've requested your report online, it should be available immediately. You may need to answer a few questions to verify your identity. The service may ask if you shared an address with anyone else or about previous streets you've lived on. Once you answer these questions, you'll get your credit report. With your credit report now in your hands, it's time to look it over. There are three things you'll want to look for. You want to find accounts that are open in your name and you want to see if there's any collection activity. You'll also want to take a look at the number and frequency of inquiries. There are slight differences in the three reports, but each has a list of accounts. They may be broken down by type (mortgage, installment, revolving, and other) or listed by date. You'll want to look through each one to make sure you recognize them. This can be a tricky task, as every store credit card you open and every installment loan you make is listed. If there are any accounts you don't recognize, you'll want to make a note of them and potentially contact the credit reporting agency. Look particularly for accounts going to PO Boxes or listed with addresses in other states. "Negative items" include bankruptcies, accounts in collection or accounts reporting as past due. Such activity is another good place to check for fraud. If someone else opened an account in your name, they likely won't be paying the bills. You'll also want to look for inaccuracies that may be hurting your credit score. If there's an account listed here that was discharged in bankruptcy, for example, you'll want to make note of that, too. The list of inquiries shows you the number of times someone has checked your credit. No one can do this without your permission, so if there are more inquiries than you remember, it could be a sign someone has stolen your identity. It might be worthwhile to put a freeze on an ability to open new accounts until you've gotten everything resolved. Each reporting agency maintains a separate error reporting process, so you'll have to report each error to the agency that made it. For basic errors, like address, name, or personal information, the agency can make those corrections with minimal trouble. For more serious errors, you'll need to send a dispute letter. The FTC has a template for a dispute letter available on its website. You can use that or you can draft your own. Either way, you'll need to clearly identify the accounts or items you're disputing. Where possible, use partial account numbers or other numerical information. You'll also need to explain why you consider the item an error. Attach copies, but not originals, of documents that support your claim. Examples include police reports for stolen or lost wallets, bankruptcy orders that discharged a debt or letters from a lender indicating that an account was opened fraudulently. Send your letter via certified mail. This costs a little more than a stamp, but you'll get proof of receipt. This is important because the agency has 30 days to make a determination about your dispute. They'll send your dispute to the information provider (the company that told the agency about the account or negative item). If the reporting agency finds your claim to be correct, you can request that they send copies of the updated report to anyone who received your credit report in the last six months, and to any employer who pulled your credit report over the last two years. They're also required to send you an updated copy with any new information in it. Checking your credit report periodically is the only way to keep yourself safe from identity theft and other modern crimes. If you need assistance, CORE Credit Union is here to help. [Our credit monitoring services will keep a vigilant watch on your credit history to check for new accounts and other suspicious activity. Call, click, or stop by CORE Credit Union today to find out how we can make your life easier!